Although Jojo has often exhibited with the International Water Color Society in Metro Manila, his Feb. 15th Art Exhibit at Art-Centrale is his very FIRST SOLO. Jojo comes with excellent artist credentials. Born in Obando, Bulacan (1958), he spent his grade school and high school years in Bulacan. Early on, he was good enough to draw the visual aids of his mother, a teacher. In college, he took up Fine Arts with a Painting major at U.P. Diliman (Jose Joya, a National Artist, was then its Dean). Although he completed his 4th year, he did not go up the stage because he had to work for a living. He pursued his artistic vocation by attending the Q.C. workshop of Bueno Silva, the noted Filipino portraitist, a native of Gen. San., now a resident of Chicago. In 1998 Jojo, his wife and children decided to transfer to Panabo. A major reason they abandoned Obando was that it was always flooded. 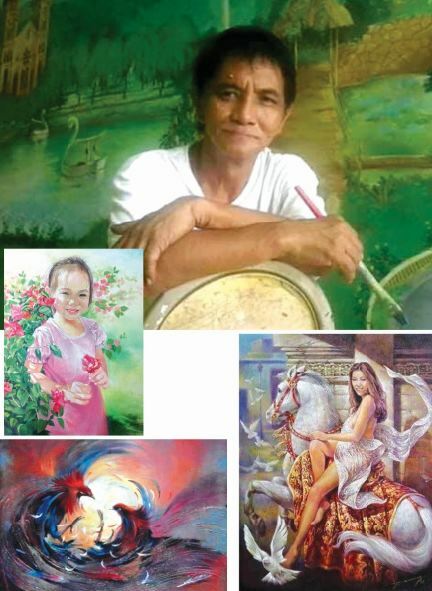 Davao Art lovers, especially those who appreciate Watercolor and Pastel traditional-representational genre will be pleased with Jojo’s solo exhibit entitled “My Art Journey” on February 15 (4:00PM) to March 14, 2019 at Art-Centrale, Felcris Mall Quimpo Blvd. This show is sponsored by Felcris-Centrale, Tabula Rasa, Mindanao Art Gallery and Arch. Saldy Mascardo II.